Casabó, Pajas Blancas is a sub-zone of the industrial district of El Cerro. It was originally a residential community for immigrants working in the meat factories in the area. With the economic decline, most of the factories have shut down and houses abandoned as workers moved to other places in search of employment. The zone is presently undergoing revitalization, beginning with the construction of a drainage network. Some of the old factories are being converted into apartments. Villa del Cerro is situated between the northern and eastern slopes of Montevideo’s highest mountain, Cerro de Montevideo. Much of the neighborhood’s growth can be attributed to its success in the meat salting and meat export industry. With progress and the arrival of European and foreign immigrants, Villa del Cerro became a cosmopolitan area. 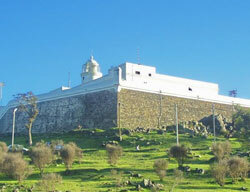 A notable landmark in the district is the Fortress, which has been converted into a military museum.